Using radio frequency heat, Exilis reduces unwanted fat and tightens skin. Many areas of the body can be successfully sculpted including but not limited to abdomen, upper arms, jowls and neck, eyes, bra fat, love handles and thighs. Dr. Kacki was one of the first U.S. physicians to pioneer a major breakthrough in bulk fat reduction on the abdomen, flanks, and bra fat area using touchless radio frequency heat. Vanquish is a huge leap forward in technological design, patient comfort and safety. The use of radio frequency heat is the number one non- invasive approach for fat reduction. 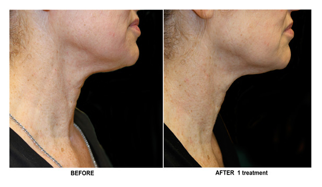 VISAGE customizes this treatment for each patient. 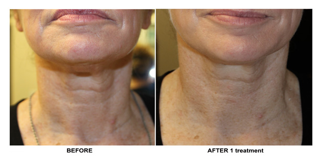 Exilis and Vanquish treatments offer something that had not been possible until now. A non-invasive, downtime-free treatment ranging from the small area of the eyelid to total body sculpting. It is a non-invasive alternative to those select patients who have considered liposuction but want to avoid an invasive procedure, downtime and sometimes prolonged recovery. The Exilis® treatment device delivers desired energy through one of two hand-pieces with precise controls of depth and density of waves. The deepest layers of the skin can be treated to reduce fat deposits. Improvements in tightness, wrinkles, skin tone, and texture can be achieved by targeting more superficial layers. Real time monitoring of the skin temperature during treatment allows for optimal treatments and full safety. Dr. Kacki and Nurse Katie spent months of testing and creating studies along with the researchers from Johns Hopkin’s University and bioengineers from BTL. Our early involvement with VANQUISH and EXILIS has afforded us the opportunity to assist BTL in establishing safe and effective protocols for both treatments, with award winning results! VISAGE MedArt creates a more aggressive method to maximize fat reduction. We offer an enhanced combined modality to select patients.